We care about you and your project. Our award-winning team of in-house crews, project managers, and advanced online programs are ready to make your remodeling or building dreams come true. 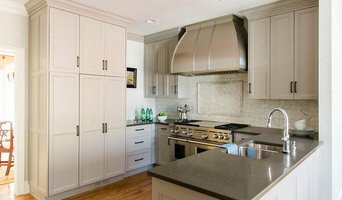 Heritage Custom Builders is a full-service residential design/build firm dedicated to enhancing our clients lifestyle. Your needs, your desires, and your unique style create the foundation of the design. 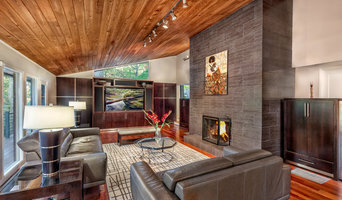 We then use our building and design expertise to personalize your home to your lifestyle. Whether you desire an intimate renovation or a large-scale custom whole house remodel our distinctive management process is capable of delivering excellence in a cost effective, efficient, and timely manner. Contact us and discover how we can turn your house into your dream home. The Arnold Corporation designs and builds homes in Pickens, Anderson, and Oconee counties, this includes but not limited to Keowee Key, Crescent Communities, Cliffs Communities and The Reserve. Our company's mission is to build a home that reflects your tastes and desires. We believe that a successful contracting relationship begins with a clear understanding of the contract documents, drawings, and specifications. Our service manages the building process to a timely successful completion. We meet with you and vendors to select allowance items that meet your schedule and budget. Our on-site daily meetings are coordinated to schedule material deliveries and to comply with the contract documents. We take progress photos and send them to you. This allows you to stay in the loop, have records of our progress, and to keep you satisfied. Athens Building Company is a customer-oriented, full service construction company which specializes in quality residential and commercial construction. From renovations and additions, to custom homes and commercial build outs, Athens Building Company is well seasoned to handle projects both large and small. Working mainly through client referrals, we work closely with the client, engineers, architect and independent contractors to make sure the process is as seamless as possible and that the vision comes to life above expectations. From concept to completion, Athens Building Company’s work ethic, integrity, attention to detail, and creative talents add value to every project we undertake. • Details • Attention to detail is the most important aspect of any construction job, from the estimate all the way through the final aesthetic touches. You could hire someone just to finish your job, but we'll spend the extra time to make sure its done right. • Communication • Our passion is creating products that are exactly what our customers want, and to do that we need to listen. During the project, we'll also take the time to discuss any aspect of the work so you are informed each step of the way. • Respect • If we're remodeling one room in your house, we understand that you need to live in the rest. We take extra precautions to protect your floors, walls, and furniture and leave your home cleaned up and in good condition. Hollison Custom Homes builds beautiful custom homes throughout the upstate of South Carolina. We pride ourselves on properly constructed homes, innovative ideas, proactive customer communication and satisfied home owners. We've built our reputation on performance and unsurpassed reliability ~ one satisfied homeowner at a time. At Hollison Custom Homes, we build on your ideas. The Finnell name was established in home building back in 1972. It started with a man that had the dream to provide economical, long-lasting homes to the people of the greater Greenville area.. That man was my father, William F. Finnell Sr. With the completion of hundreds of projects in the Greenville, Spartanburg, Laurens and surrounding areas, we have come to know the meaning behind being part of a team. We are proud of our reputation as a quality, local contractor and continue that tradition today, after more than 40 years. the majority of companies today subcontract their work out to others, but Finnell Builders owns their own shop where we specialize in cabinets and specialty wood work. Building your dream home should not be a headache, so we are here to help make that dream a reality. Your home should always be a place that you're proud to call your own and look forward to enjoying for many years to come... Welcome to affordable luxury the old fashioned way - through careful planning, established relationships, hard work and superior craftsmanship. One of the most experienced Greenville home builders. 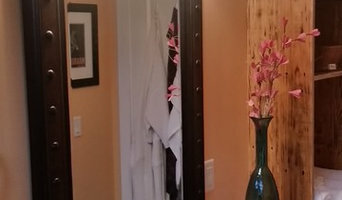 We are a creative General Contractor husband and wife team who will design and bring to life your project that will beautify and improve the quality of your upstate home. General, or construction contractors, are often known as project managers. They oversee the entire remodeling or new home construction project and facilitate all day-to-day tasks that move it toward completion. A Pendleton general building contractor will work with your architect to review plan as you build a house and ensure everything is in place before work is started as well as arrange for permits and necessary inspections. While good local home improvement contractors in Pendleton will have the skills to handle certain tasks onsite, such as carpentry, he or she is also responsible for hiring subcontractors for the majority of jobs, such as electrical work, painting or plumbing. In addition, the general contractor should be on-site regularly to inspect the progress and resolve issues. Here are some related professionals and vendors to complement the work of general contractors: Architects & Building Designers, Interior Designers & Decorators, Landscape Architects & Landscape Designers, Kitchen & Bath Designers, Specialty Contractors. Home remodeling contractors are a must for successful completion of a renovation. Because of this, it's essential that you do your homework before deciding on the right general contractor in Pendleton as you remodel or build a house. Inspect bids carefully. Was it ready when the contractor promised it? Was the bid for building a home unusually high or low? Each of these things can be very telling: A late bid may reflect timing standards, and an off-the-mark bid could be code for a pricey premium or a deliberate underbid to score the remodeling job. You should call references, carefully read reviews and visit completed projects in Pendleton, SC to see if they’re what you expect for your job. Once you do secure your local Pendleton contractors, read the contract very carefully to be sure everyone is on the same page. Find a Pendleton contractor on Houzz. 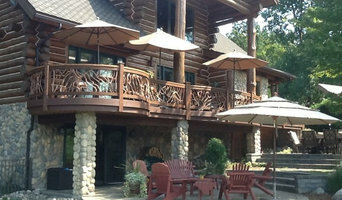 Narrow your search in the Professionals section of the website to Pendleton, SC home contractors. You can also search for photos in Pendleton, SC and contact the Pendleton general contractor who worked on the project.